GetResponse started in 1999 by Simon Grabowski, an internet marketing pioneer and entrepreneur. GetResponse centers around his vision of helping the small business marketers extend their reach globally by effective marketing without over-paying for their service. They aim to help these business owners to increase their profit, gain reputation and easily connect with their customers. Currently the site is available in 14 languages and has a growing number of clients daily, both beginners and expert marketers. GetResponse is an email marketing service that offers an easy to use platform that maximizes email delivery and reliability. 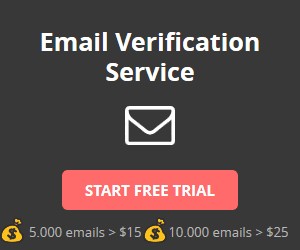 They believe that email marketing should not be complicated. They have powerful tools and features to ensure the success of their client’s campaigns. They have over 350,000 customers all over the world and send more than 1 billion emails every month. GetResponse has over 500 email templates, created by professionals to ensure you get the best templates for your needs. They also have over 100 mobile ready templates to easily adjust your emails with any mobile device. Their drag and drop editor makes it easier to customize a template. Landing page creator – Create a powerful landing page in less than 10 minutes. Responsive email designs – Automatically adjusts your newsletters to fit all devices. A/B testing – Test and analyze any element on your campaigns to know which works best for you. Know the best time to send emails and more. Autoresponders 2.0 – Don’t need to frequently check your emails. Get the autoresponder to make follow-up emails, birthday greetings, offers and more. Send perfectly timed-based and action-based responses for your subscribers. Email creator – The GetReponse email creator lets you easily craft perfect emails. Edit templates and personalize your emails with their editor. Email Intelligence – Maximize your email campaigns by tracking and analyze all the data you collected. Life Booster – Automatically grow your subscriber list by importing contacts from your hard drive and email services. Form Builder – Embed professionally designed forms in your website, blog or social media page. GetResponse have over 500 form templates which are easily customizable. GetResponse has multiple offers: GetResponse lets their clients choose their list size. No contracts and obligations, we will not tie you down with formalities. You can cancel anytime! All these plans include unlimited emails. Does GetResponse have a FREE PLAN? No. GetResponse does not offer a free plan. Does GetResponse have a FREE TRIAL? Yes. GetResponse offers a free trial for 30 days. Does GetResponse offer an API? Yes. GetResponse offers an API. GetResponse has available APIs for their clients to use. In order to access the API, you must register first. After reading this review I’m sure that GetResponse is the best email marketing platform. Thanks a lot for sharing!